Other than the normal clothing labels there are a variety of labels used in clothing to enhance the look of products for e.g. Leather label, Rubber Patches, heat transfer labels, hang tags, high definition damask woven labels, weave techniques such as jacquard and basket weave etc. Each label has its own pros and cons and different impact on your product and customers. The more thought that is put into developing and designing your clothing brand label, the more memorable it will become. 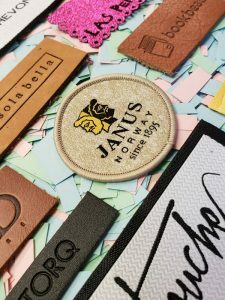 Leather labels are laser engraved or stampled labels which are commonly used in jeans with laser made holes to attach the label to your clothing. You can use your brand’s logo or text when making a leather label for your product. The leather label comes in selected background from light brown to dark black, you can select the color according to your product and whatever you wish to incorporate on the label. Call us or email and ask us for samples. Patch Label comes in 3 different types, PVC, Silicone, and Rubber. To enhance and give your product a top-notch look, you can use silicone, PVC and rubber patches as they are more durable, color soundness is best to express color and also gives 3D effects. Rubber patch labels are commonly used for bags, handbags, shoes, keychain, and jackets. One of the best ways to enhance the look of your garments is by using heat transfer label. You can use heat transfer label in baby items, undergarments, and sportswear. For those brands who are targeting audiences who does not like carrying an extra woven label or are allergic to any kind of extra attached label in their garments, heat transfer label is the best option to use for such a target market. If you need an option which can be customized the most in terms of the labelling, hang tags would be the best bet for your products. 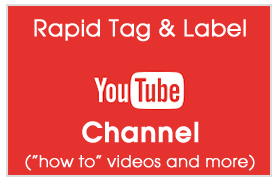 You can easily make any shape and sized hangtags with a bit of creativity. You can use different types of material in hang tags, it is not necessary that you need paper for making hang tags labels. Hang tags are more creative in nature and serve as an effective way to approach any customer to purchase your product. 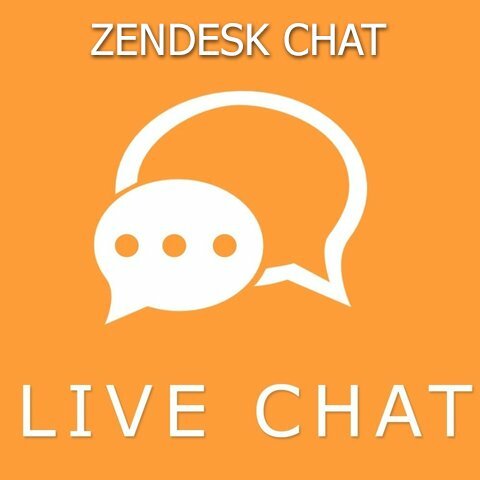 Moreover, their outlook gives away a more professional feel, leaving a lasting impact on the customer. You can also attach additional labels with hang tag labels to give a more creative look. As it is rightly said, the first impression is the most important one in any market or industry. Damask woven labels are high definition computerized woven labels. The threads of the damask woven label are thin and efficiently printed with high quality and neatness. Jacquard weave is a weaving technique in which an image or picture is created within the fabric. Patterns are embossed within the fabric for ending the complexity. On the contrary, basket weave is similar to plain weave. Examples of this were used in the picture above. Every label has its own set of pros and cons. You can select the label according to your budget, target audience and your product. For instance, you cannot use a woven label in shoes as it will give away a bad image of your product. To select a label for your product, you must consider the impact it will have on your product i.e. how creative, professional and appealing your label will turn out to be in accordance with the product on offer and your overall brand image. The label you choose, it must provide utmost comfort to your customers. 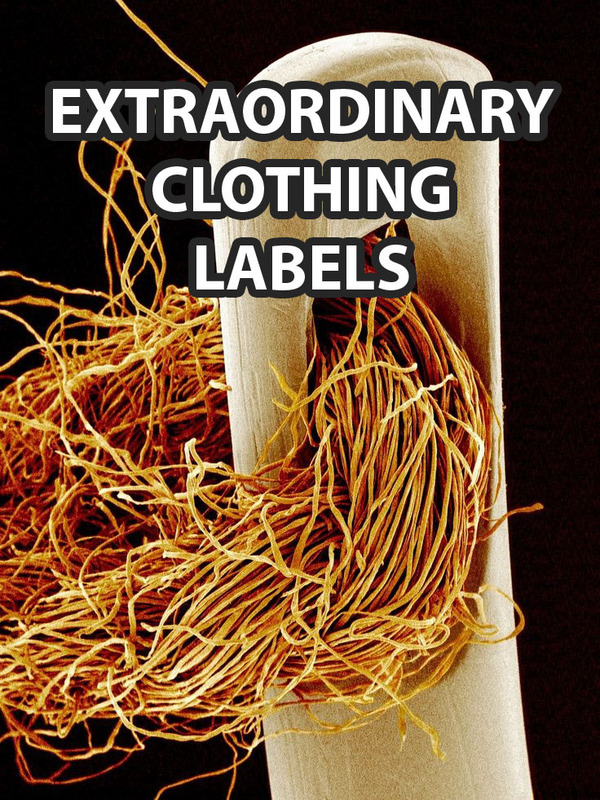 Other than the normal clothing labels there are a variety of labels used in clothing to enhance the look of products. Each label has its own pros and cons and different impact on your product and customers.